After a run with my South Florida Runs group a few months back in Boynton Beach, a few runners were mentioning that their muscles were tired/sore from recent hard workouts (including hills, etc.). Others said the lactic acid build-up in their muscles was holding them back. 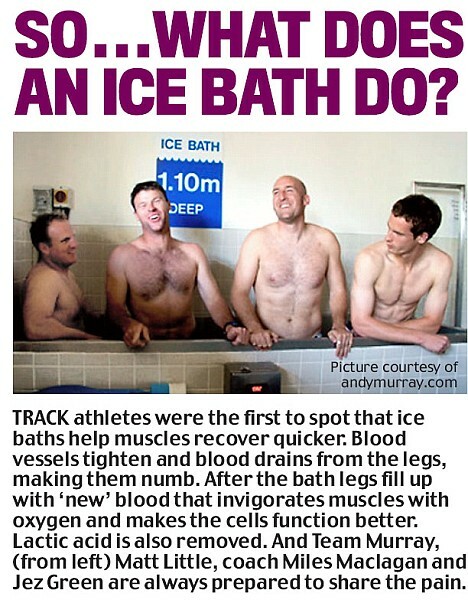 I briefly mentioned taking ice baths and how that can help. The majority of college and university athletic centers have metal ice baths designed for the athletes. That’s pretty telling that they work! (Side note, I have read up on many athletes that met their significant other while in an ice bath; while this probably won’t happen in your personal bathroom, it’s just another benefit of the ice bath. For recovery after a long run, tough workout or race, nothing beats an ice bath. Soaking in a tub (or container) filled with water and ice will help reduce inflammation of tissues and joints, relieve soreness, and speed up your recovery. Here’s how to take an ice bath. If you really don’t like the cold, it’s fine to go in the tub wearing running tights or sweatpants and a sweatshirt or towel (wrapped around your upper body). You’ll still get the same benefits. Dump one or two 5-pound bags of ice into the tub. (At my size – 130 lbs – I need to use two bags…Otherwise the ice melts way too quickly.) You can also ask someone else to dump the ice in – as inflicting pain on yourself is sometimes difficult. Stay in the tub for 10 minutes. Your legs will turn red. If you feel extreme numbness, get out sooner. Ice baths are one of the most effective ways to offset the damage done on a run. By Nikki Kimball; Nikki Kimball, a physical therapist in Bozeman, Montana, was named USATF’s Ultrarunner of the Year in 2004, 2006, and 2007. 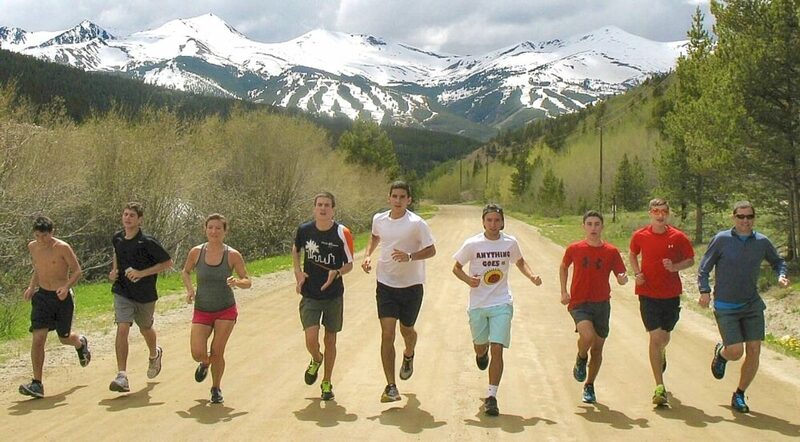 Long runs are essential to the training distance runners because they enable the body to adapt to running greater distances safely and efficiently. Unfortunately, long runs also increase the runner’s risk of injury, which can result in unplanned—and unwelcome—time off. One simple way to offset the risks inherent to long bouts of running is cold-water immersion, known to many runners as the ice bath. Cryotherapy (“cold therapy”) constricts blood vessels and decreases metabolic activity, which reduces swelling and tissue breakdown. Once the skin is no longer in contact with the cold source, the underlying tissues warm up, causing a return of faster blood flow, which helps return the byproducts of cellular breakdown to the lymph system for efficient recycling by the body. “Ice baths don’t only suppress inflammation, but help to flush harmful metabolic debris out of your muscles,” says David Terry, M.D., an ultrarunner who has finished both the Western States 100-Mile Endurance Run and the Wasatch Front 100-Mile Endurance Run 10 consecutive times. Though you could use individual ice packs, cold-water immersion generally produces a greater and longer lasting change in deep tissues and is more a more efficient means of cooling large groups of muscles simultaneously. The discomfort associated with sitting in a tub full of ice water scares off some athletes. I admit that after my long runs I’d rather reward myself with a hot shower and a big plate of scrambled eggs than an ice bath. However, I have been running ultramarathons for nearly 10 years without any significant injuries, and I credit my ritual of post-workout ice baths for much of my orthopedic health. Over those years, I’ve discovered tricks to make the ice bath experience more tolerable. First, I fill my tub with two to three bags of crushed ice. Then I add cold water to a height that will cover me nearly to my waist when I sit in the tub. Before getting in, I put on a down jacket and a hat and neoprene booties, make myself a cup of hot tea, and collect some entertaining reading material to help the next 15 to 20 minutes pass quickly. Though scientific research exists to support the use of ice baths to promote recovery, no exact protocol has been proven better than others. In general, water temperatures should be between 50 to 59 degrees Fahrenheit, and immersion time should ranges from 10 to 20 minutes. Among top runners, I see ice bath techniques that vary within and on either side of these ranges. My favorite method is the post-race soak in a cold river or lake with fellow competitors. Ice Baths Are Not for the Weak! !